A Safety Turtle 2.0 Pool Alarm Base can accommodate as many wristbands as needed. Have extras bands available for guests or other children. Each wristband comes with a key to secure it on the child's wrist. The green Turtle is on a black band and works in all pools. The Safety Turtle 2.0 pool alarm base will alert you when the Turtle needs to be replaced (It last between 3 and 5 years). Safety Turtle 2.0 is not compatible with older models. 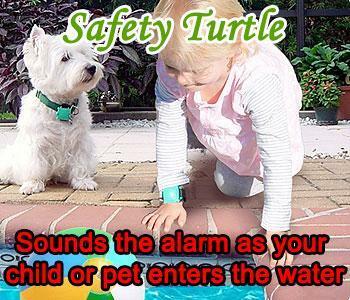 Safety Turtle 2.0 child wristband includes black locking band with green Turtle and key. The Turtle will send a signal to the Safety Turtle 2.0 pool alarm base when it is submerged in water. 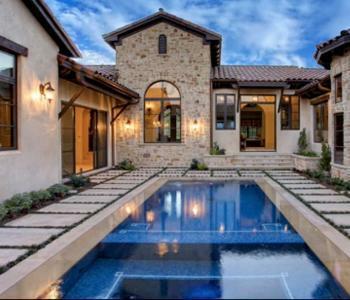 The base will sound an alarm alerting you to check the pool. The band is adjustable to fit all children.